Nails 4 Dummies! 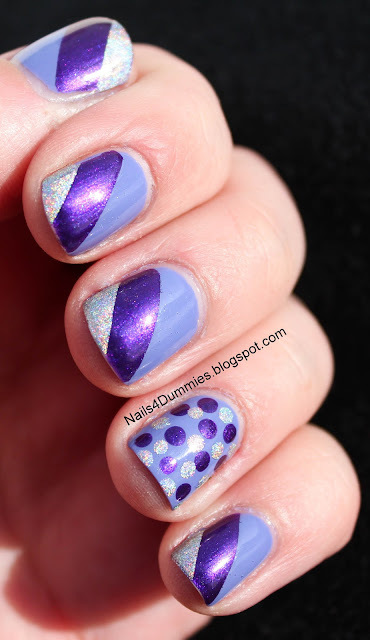 : Purple Birthday Mani! Happy Friday!! Sorry, once again for being MIA! I have had sick kids all week and my poor little baby has the flu so I've spent 4 days holding and snuggling her! I'm holding her as I'm typing this so it's going to be short and sweet! This was my bday mani and I wore it for 4 days with barely any tip wear! I've never had a mani last over 24 hours before so I'm amazed! All of these polishes were gifts I received recently and they all worked so beautifully together! The base is MUA Frozen Yoghurt then a England (sooooooo excited about this one!) Avalon and finally Color Club Harp On It which is my first holo ever!! I'm really loving how this turned out and all of the polishes were so gorgeous! :) I hope to be back to blogging more as soon as my kiddos feel better! Happy Birthday Girl and hope your baby feels better soon..
Love this!!! Hope your birthday was FANTABULOUS! 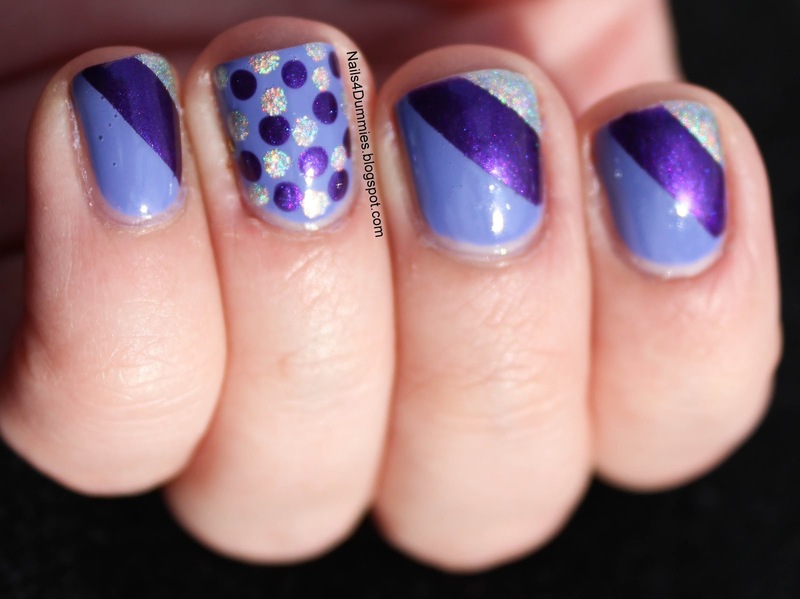 The Lazy 15 Mani #14 - Where I'm From!